What once seemed like a dystopian plot, is now a reality. I suspect this dimension will play out more in the future, as individuals are becoming more technologically integrated and dependent. We should be warned to not only protect our physical human rights, but also the privacy of our virtual spaces and communication via technology. I draw attention to recent cases of unlawful surveillance and cyberattacks by governments targeting individuals in Uzbekistan, Azerbaijan, and Belarus. Two weeks ago Amnesty released a report ‘We Will Find You, Anywhere’, outlining the unlawful surveillance by Uzbekistan government, targeting citizens in the country itself and abroad. The report focuses on seven individuals whose human rights were tampered, through unlawful surveillance. Earlier, Amnesty International has documented serious human rights violations in Uzbekistan, including pervasive torture by security forces, and arbitrary detention. 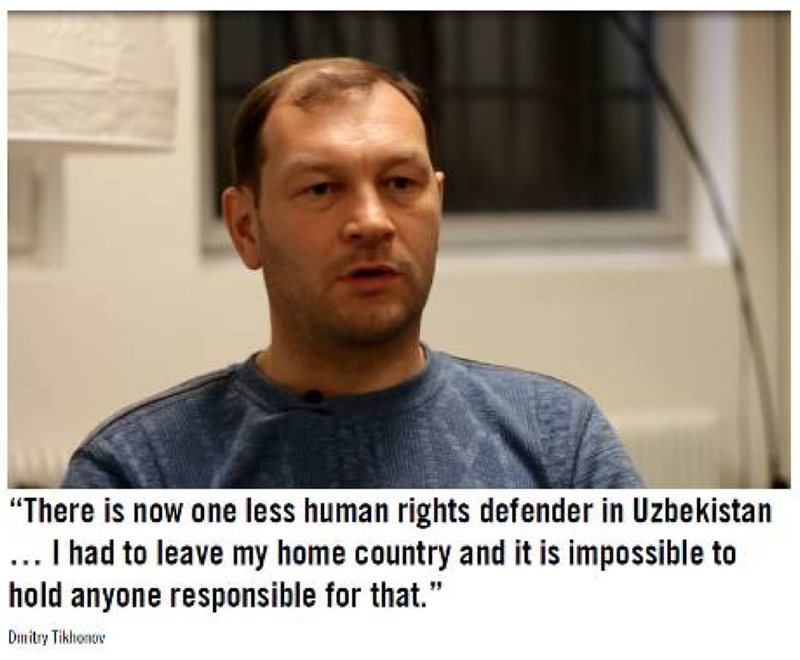 Dmitry Tikhonov, a human rights defender, was forced to flee Uzbekistan after his work on a project to document forced labor, including child labor, during the cotton harvest, resulted in: an E-mail hack, burning of his house, initiated administrative cases, and lastly, accusation of involvement in a terrorist group. Many Uzbekistani asylum seekers and refugees are forced to cut off contact with family inside Uzbekistan, due to fear of government surveillance and consequential persecution. “In Uzbekistan everyone knows that the government is monitoring communications,” an undisclosed political activist seeking refuge in Sweden says. Landlines and mobile phones fall under surveillance, and families of refugees are visited regularly by security services. 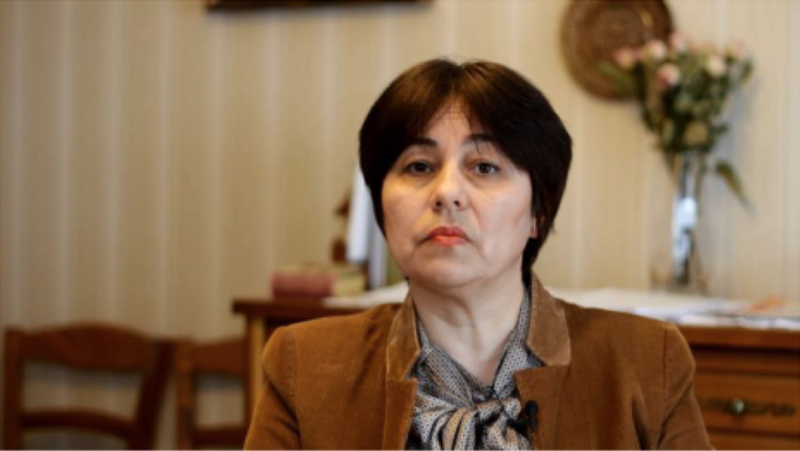 Nadejda Atayeva, the President of the Association for Human Rights in Central Asia has been cut off from her family for almost 17 years since she left the country. “My relatives’ phones have been under surveillance since we left the country, almost 17 years ago. And the other political immigrants are in the same situation,” she says. Her relatives were coerced to file a statement refusing to communicate and consider her as a bad dangerous person. Galima Burkharbaeva former editor of Uznews.net, and Kamolova’s colleague ran her website from abroad after fleeing Uzbekistan in 2005, most recently from Berlin, Germany. In November 2014 her e-mail account was hacked, later social media pages were created under her name with pornographic material. Galima says one of her main struggles is facing constant anxiety and remote threats such as this cyberattack. As other Uznews.net journalists faced danger, after the government released a full list of names of journalists working for the site, she was forced to close Uznews.net in December 2014, even further reducing the small number of independent news sources on Uzbekistan. 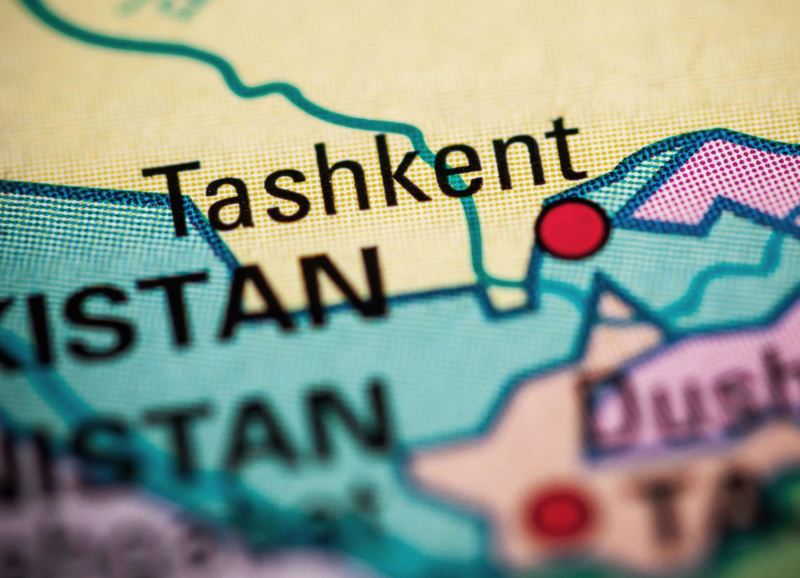 Amnesty International calls for the government of Uzbekistan to reform laws governing surveillance, cease all harassment or targeting of family members of criminal suspects or other detained individuals. Amnesty calls other governments to ensure that no licenses are granted for surveillance technology to Uzbekistan until surveillance laws and practice are reformed to conform to international human rights law and standards. Amnesty calls telecom companies to consider impacts of operations, and support human rights by preventing and mitigating adverse impacts. For more on the Uzbekistani government conducting unlawful surveillance, please view the film ‘The Global Shadow of Uzbekistani Surveillance’ produced by AI. In Azerbaijan, human rights activists, journalists, and political dissidents have been targeted using multiple cyberattacks compromising passwords, contacts, emails, and social media. AI conducted research presented in report ‘False Friends – how fake accounts and crude malware targeted dissidents in Azerbaijan’ published on March 9, 2017. It details how victims have been targeted using a practice know as ‘spear phising’, which involves an email with an attachment containing a virus – known as malware – being sent to a target from a fake address. In Belarus, the government is using phone networks run by some of the world’s biggest telecom companies to stifle free speech and dissent. Last year AI released a report ‘Belarus: “It’s enough for people to feel it exists”: Civil Society, Secrecy and Surveillance in Belarus’, which details how civil society operates under surveillance, international human rights law and surveillance, Belarus laws and practice, and the role of private companies. Belarusian authorities have unfettered access to communications. Amnesty International sent letters to the three largest mobile phone providers which are partly owned by foreign companies—Turkcell, Telekom Austria, and MTS, and did not receive any response. Amnesty International believes that the companies are violating well-established standards on business and human rights. Under the UN’s Guiding Principles for Business, national laws where a company operates cannot be used to justify human rights abuses. Lastly, on a slightly positive note, for the World Day Against Cyber Censorship held yearly on March 12, ProtonMail and Amnesty International joined forces to fight cyber censorship by showing how internet restrictions affect people around the world. As ProtonMail’s 2 million users from 150 countries logged into their inboxes they saw Amnesty International’s latest findings on cyber censorship. In 2016, Amnesty International documented 55 countries where people were people were arrested for peaceful expression online. Each year governments around the world continue to restrict internet freedom, for example, Turkey and Saudi Arabia block over 50,000 and 400,000 websites, respectively, including social media and news sites. China continues to restrict internet to over 800 million users via the Great Firewall. While widespread technology certainly provides numerous advantages to society and development, it also enables governments to gain more unlawful power and control over their citizens. Government security forces are no longer limited by physical barriers and the need to travel, now, information can be intercepted across states in a matter of minutes. How should human rights activists respond to threats in this arena? What are some ways to cope with the anxiety that this creates? Are you attentive to your communication and internet security? Personally, I underestimate the potential power and threat of tracking and persecution. By gaining access to my cloud storage, e-mail, and social media page, one is able to find all my activity, finances, personal information, and contacts. Who knows if webcams and microphones embedded in nearly all devices (computers, tablets, phones, and even TVs) are not monitoring you. Surely there is potential. Thomas Rozanov is a volunteer at Eurasia Coordination Group, Amnesty International USA. 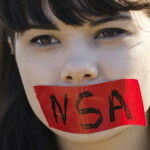 This entry was posted in Asia and the Pacific, Censorship and Free Speech and tagged Azerbaijan, Belarus, Censorship, Cyber, Unlawful surveillance, Uzbekistan by Guest Writer. Bookmark the permalink. Great post was search for content such as this one, keep updating your blog often, I really get a lot of information daily from your great articles. In the era of information technology development, all data are much more accessible than used to be before. Well, isn't this the most obvious course of action for the government? Controlling the population has been the dream of the elites. With the ever evolving IT, that is becoming a reality. Canlı model çizimlerimiz son hızda devam etmektedir. Hepinizi Rüya avcısı resim kursuna bekleriz! Güzel Sanatlara Hazırlık alanında bir numaralı adresiniz olmaya devam etmekteyiz. Sevdikleriniz ile geleceğe umut ile bakmak sizlerin elinde. Binlerce mutlu sona sizinle bir mutlu son daha eklemek istiyoruz. Türkiyenin en ideal kaftan modellerine sahip mağazamızda onlarca çeşit arasında ruhunuza en yakın modelleri seçebilme imkanına sahip olabileceğiniz modeller ile karşınızdayız. Bağdat kaftan olarak sektörde yeni ve yeniliğe açık bir mağaza olmak ile beraber kısa süre içerisinde köklü bir firma olarak anılmak bizlere gurur vermektedir. Siz değerli takipçilerimiz ve saygıdeğer müşterilerimizin övgü ve memnuniyetleri ile farkındalığımızı ortaya koymanın mutluluğunu yaşamaktayız. Great article, it was so long that I cant even give an opinion hahaha! This is a topic of my interested. I love reading through your blog,I’ve read through a number of the articles in your website , and I love the way you blog. I am very happy to read the whole article. 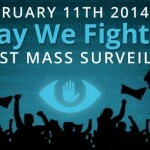 Mass surveillance is required when a certain place is threatened to secure majority of the people. This is done to separate the bad people with bad intentions who where trying to live with the good people to initiate their bad plan. Sometimes journalist are being used to go against, oppress a certain individual or a politician because a guy from this country doesn't like the ideas of the other guy, which is quite alarming. Issue's like this can only be settled if everybody are responsible enough with what they are doing. This Blade Runner blog was written nicely . Every word and sentence was perfectly placed.